Visual Studio Code is a fantastic open source editor from Microsoft. 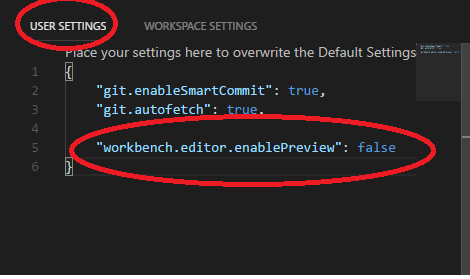 By default, in Visual Studio Code, files open in the same tab. This is because of “Preview Mode” which is designed to allow you to quickly view files. Make sure you include a comma if there’s other settings as it has to be valid json.